Capturing your memorable (and some not so memorable) moments has never been as easy as taking out your mobile phone, and capturing a photograph. For any given event, functions, or gatherings, you will find countless pictures in the mobile phones, tablets, or digital cameras of the participants. Take wedding ceremonies as example, earlier it used to be an album of selected pictures and photographs, but now you can simply sit down with a digital camera or smartphone and go through hundreds of images to revive the memories. But having easy access to all these pictures hasn’t reduced the charm of framing some of the most memorable pictures, and hanging them on your walls (or putting them on some shelf or side tables), because some moments deserve to be in front of your eyes, instead of getting buried between hundreds and thousands of pictures in your device. 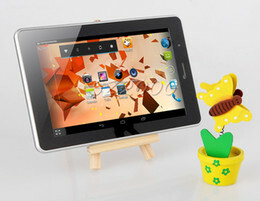 Digital photo frames are tablet like devices that you can use to store, and watch pictures or movies. And while they are not really a replacement of the goof old picture frames; they have their own advantages and disadvantages. Let’s have a look at the pros and cons of a digital photo frame. Along with pictures, you can also view videos with sounds, since most of these frames come with built-in speakers, which is much more enjoyable than going through the pictures. You don’t need to flip through the images, or wait for your turn when someone else is going through the album. You can simply put these frames on wall or some table in front of you, choose slide show and enjoy the pictures together with your friends or family members. Digital frames can make a great gift. For someone, already having a tablet or smart phone, digital photo frame might not be a good idea, but for those who don’t like to carry or use a smart phone (e.g. the elderly fellows), digital photo frames can be a great option. There are times when you want to share pictures with your friends or family members from a certain trip, event, or occasion and you can’t find the album despite searching. Having all the photos in your digital photo frame will make it easier for you to find and share the photographs at any given time. While it’s easy to store and go through hundreds and thousands of photographs at a digital photo viewer, you will need to charge or plug-in these devices, which is not as convenient as picking up the album and flipping through the photographs. You cannot hang a digital photo frame or photo viewer on walls. It wouldn’t look as good as custom picture frames, which can also serve as wall decorations. While you can store a lot more pictures in digital format, as compared to photo album, there’s the risk of losing all your data due to some malfunction, not to forget that digitally stored family photographs can get into wrong hands. Author: Natasha is an amateur photographer and part time blogger. She loves to write about digital cameras and photo editing apps. For professional picture framing services in Brisbane, she recommends Boutique Framing, because some photographs are too special to be stored in a digital device.